A easy way to get to the Niagara Falls with a tour guide introducing. Escape from the concrete jungle of New York City and head north to see the majestic Niagara Falls. The Niagara Falls is a natural wonder with its 150,000 gallons of water per second, plunging more than 1000ft. It's one of the greatest natural wonders of the world. This tour starts with a sightseeing experience to marvel at the landscapes of the Appalachian Mountains and upstate New York. The mountains form a natural barrier between the vast lowlands of North America and the eastern Coastal Plain. Then the group will proceed to the highlight of the tour: the Niagara Falls, where you'll get on the 20 minute Maid of the Mist boat tour and see the beauty of the falls underneath. Then you'll visit Goat Island, Luna Island, Three Sisters Island to get a better view of the natural wonder and take Instagram-worthy shots. The tour ends at the Niagara Falls State Park where you can enjoy some souvenir shopping. It was a great trip. They have a tour guide that is nice and very helpful about the facts of niagara falls. It was a great trip. They have a tour guide that is nice and very helpful about the facts of niagara falls. While the place was good but crowded due to holiday season. I would prefer and all inclusive package.I had to pay for the boat which is the highlight and wasn’t included in the package. I had issue with the booking that post confirmation I received a msg from the operator saying they cannot accomodate me and had to reschedule. While the place was good but crowded due to holiday season. I would prefer and all inclusive package.I had to pay for the boat which is the highlight and wasn’t included in the package. I had issue with the booking that post confirmation I received a msg from the operator saying they cannot accomodate me and had to reschedule. Amazing to be here, one of the wonders of earth. Will never regret visiting this place, so nice and serene. A must visit to experience the greatness of this place. The only setback is the travelling time, quite long but worth enduring. Amazing to be here, one of the wonders of earth. Will never regret visiting this place, so nice and serene. A must visit to experience the greatness of this place. The only setback is the travelling time, quite long but worth enduring. 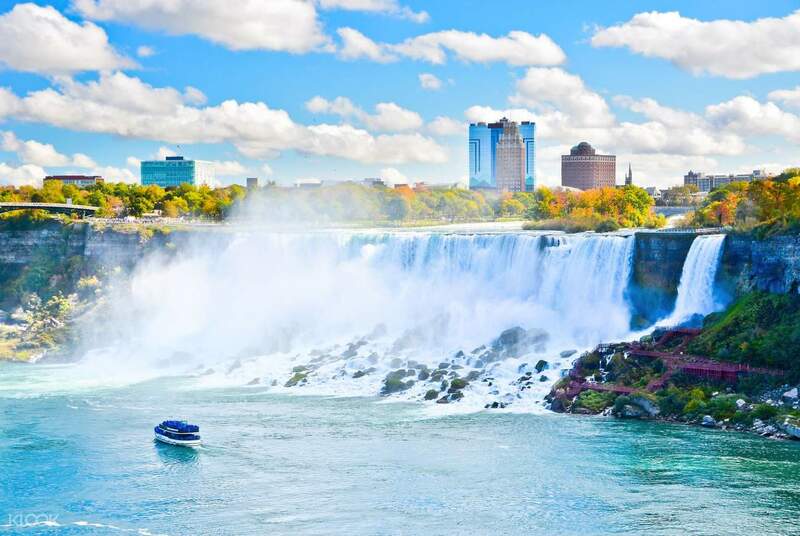 It was not stated in the Klook description page that: 1. the tour will cover the canadian side of the falls 2. the tour will be given to those who has the canadian visa or can enter the canada without visa requirement For those who cannot enter canada, they will leave you at the niagara park. So, no tour guide at all at the USA side, so it was actually only transportation covered not the tour!!! The tour guide name Ricardo told us to be ready at the pick up place at 3 pm, but HE WAS LATE!!! We have been picked up by 5 pm!!! So many stops during our way back, so we arrived at 1.30 am! NOT RECOMMENDED!!! 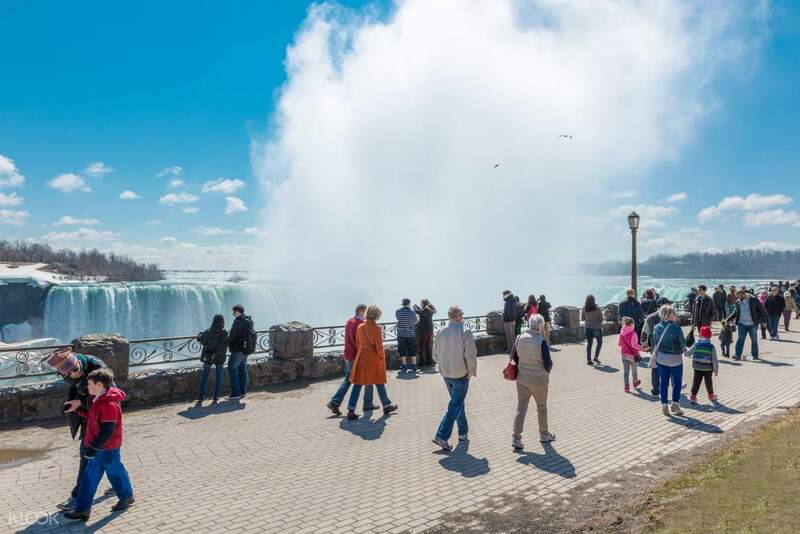 It was not stated in the Klook description page that: 1. the tour will cover the canadian side of the falls 2. the tour will be given to those who has the canadian visa or can enter the canada without visa requirement For those who cannot enter canada, they will leave you at the niagara park. So, no tour guide at all at the USA side, so it was actually only transportation covered not the tour!!! The tour guide name Ricardo told us to be ready at the pick up place at 3 pm, but HE WAS LATE!!! We have been picked up by 5 pm!!! So many stops during our way back, so we arrived at 1.30 am! NOT RECOMMENDED!!! Thank you for raising your concern to us. 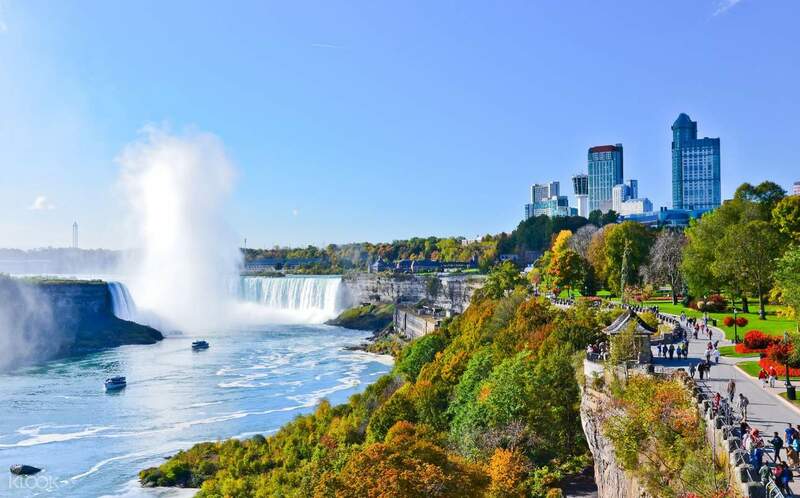 Kindly note that it's stated "When you are taking the Behind the Falls Tour or Boat Tour with Canadian side only, you will travel into Canada. Please bring your passport, valid visa, and any documentation necessary for entering Canada". Your understanding will be much appreciated. Thank you for raising your concern to us. Kindly note that it's stated "When you are taking the Behind the Falls Tour or Boat Tour with Canadian side only, you will travel into Canada. Please bring your passport, valid visa, and any documentation necessary for entering Canada". Your understanding will be much appreciated. Great service, long time to take bus but overall is good! Great service, long time to take bus but overall is good! They didn't inform us that we can go to the canada side if we have a visa. We get there at 1:30 but it should be 11:30 like what is said in the itinerary. The tour guide also leaves us at the ny side and accompany those who will go to the canada side. They said that the bus will be back at 4pm and so are we so we only have 2 hours and 30 mins to roam around. When we came back at 4 to the meeting place the bus wasn't there and they only got there at 5:30. It was not a bad experience but it doesnt meet our expectations and the tour wasn't worth the price. It seems like we just book a bus transfer not a tour. They didn't inform us that we can go to the canada side if we have a visa. We get there at 1:30 but it should be 11:30 like what is said in the itinerary. The tour guide also leaves us at the ny side and accompany those who will go to the canada side. They said that the bus will be back at 4pm and so are we so we only have 2 hours and 30 mins to roam around. When we came back at 4 to the meeting place the bus wasn't there and they only got there at 5:30. It was not a bad experience but it doesnt meet our expectations and the tour wasn't worth the price. It seems like we just book a bus transfer not a tour. A easy way to get to the Niagara Falls with a tour guide introducing. A easy way to get to the Niagara Falls with a tour guide introducing. You need a canadian visa for this trip. If you dont have Canadian VISA they will drop you in some hunted park. totally waste of money,waiting for my refund. You need a canadian visa for this trip. If you dont have Canadian VISA they will drop you in some hunted park. totally waste of money,waiting for my refund. Thank you for raising your concern to us. We sincerely regret to hear that you encountered an inconvenience with your booking. We take your feedback extremely seriously. Your case has been noted and passed to the local operator for further investigating. Our specialist had followed up your request. Your understanding will be much appreciated. Thank you for raising your concern to us. We sincerely regret to hear that you encountered an inconvenience with your booking. We take your feedback extremely seriously. Your case has been noted and passed to the local operator for further investigating. Our specialist had followed up your request. Your understanding will be much appreciated.